Corfe Bears is one of the biggest bear shops, which is run by our small family team and this brings a lot of benefits to the business.ֲ However, this means that we work really long hours and hardly get any time off, so over the Christmas & New Year period weג€™ve taken the decision to have a well earned break and visit our relatives in Scotland. 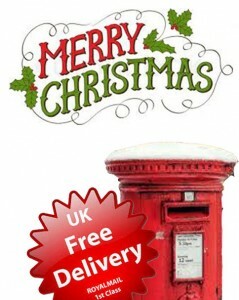 Therefore, any orders placed from Thursday 20th December (After 1pm) to Friday 28th December will not be posted until Monday the 31st December. 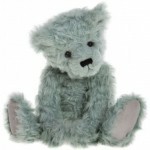 This may sound to be quite a while, but during this period a number of the days are either weekends or Bank Holidays and we find most customers would prefer their bears to be kept safely here, rather than be caught in the postal system during the holiday period, especially as a lot of people are also away themselves. Sorry for the delay in processing orders during the festive period, but you can be assured that for the rest of the year, most orders are sent out on the day that they are received and usually arrive the next day. If travelling to us, then please kindly telephone beforehand to check that there have been no changes to these opening times. We have this Charlie Bears Christmas Stocking available in brown at the special price of ֲ£17.50, which is almost 1/2 price!! (Previously ֲ£30). This is a Limited Edition of 3000 pieces worldwide. 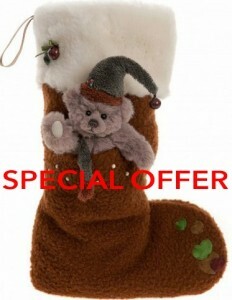 For more information or to order this stocking, please ‘click’ on the image. 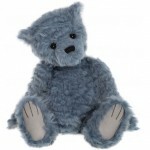 Please see below, comments from a very happy customer who has just bought her first bear from the new Dean’s Collection. 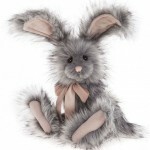 Thank you so much for Teddy Leonara - she is very pretty and cuddly with a lovely colour fur. As always, she arrived very promptly and beautifully packaged. You are my favourite bear shop! 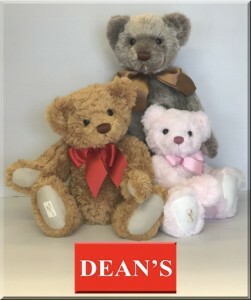 Dean’s produce both plush & mohair bears. All Limited Editions of 399 or less! 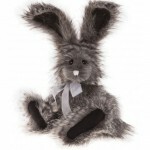 ‘Click on the Image’ to take a look at their collections. ………………..ֲ£10 OFF!! 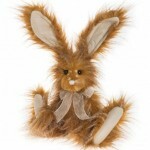 The Following Bears………………..
New In And In Time For Easter! 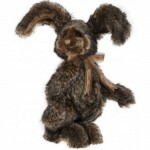 These are Charlie Bears event specials and are only available to purchase through participating Charlie Bear stockists who attended a trade event where we were able to pre-order the bunnies ready for the 2017 release. 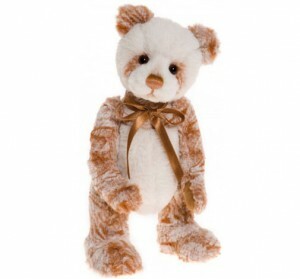 As normal, we send free by Royal Mail 1st Class and supply a Charlie Bears Bag with every plush Charlie Bear or Bearhouse Bear purchased from us. We have Genevieve, Tadam, Olien & Woodland (in the order pictured above) arriving. 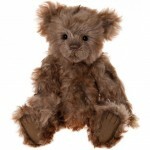 Other Charlie Bears from the 2017 Collection that we will now have in stock are Glade, Griswald & Truffles. We’re also luck enough to be receiving the following from the Isabelle Collection. The Charlie Year Bear 2017 has made a quick appearance following the launch of the new Charlie Bears Collection. She is arriving with us, 23rd February 2017 and after fulfilling all pre-orders we do have her available to purchase. 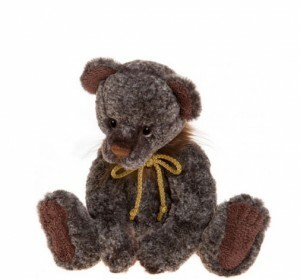 If you’d like to find out a little more about this bear or place an order then just ‘Click’ on the image or her name above. 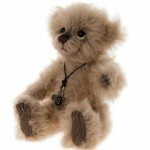 Four of the Charlie Bears 2017 Are In Stock Now!! Wow, we already have four of the new Charlie Bears 2017 Collection in stock and they only launched less than a week ago!! 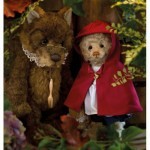 The bears, in the order they appear above are Agatha, Duchess,ֲ Skinny Pin & Wyatt. ‘Clicking’ on any of their images or names will take you straight to these bears for more details. 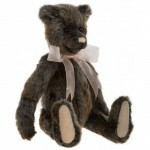 We have also taken delivery of a few of the much awaited bears from the Isabelle Collection 2016. 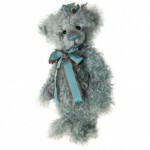 There is a great choice available for immediate delivery also, so ‘Click Here‘ to take a look at all of the Isabelle Collection bears that we currently have in stock.